If you follow me on Instagram you would notice that I participated in Vancouver Home and Design Show's fundraiser benefiting Habitat for Humanity Vancouver in their Upcycle Challenge. We were given a chair of our choice, $50 from Habitat for Humanity Vancouver ReStore and products from Rustoleum, one of the sponsors of the Upcycle Challenge. We made over a chair using our creativity, imagination and a lot of spray paint! When I spotted my chair at the Vancouver ReStore I knew it was the one! 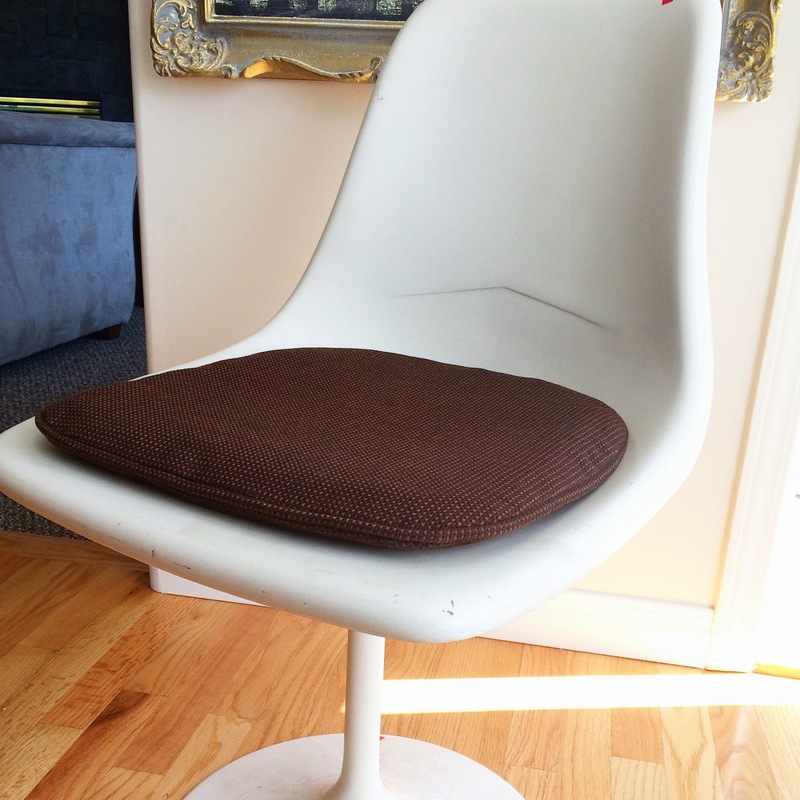 I made sure it wasn't an original Saarinen Tulip chair and then went to work. My original plan was to spray paint the front of the chair fluorescent pink, but that paint is not really meant for painting furniture and after 2 bottles, the coverage was awful. So I switched to glossy blue. But didn't like that either. So black it was. When I was given the Rustoleum catalogue to pick out the products I wanted, the Glitter spray paint called my name. The base got glitterized. I LOVED how it went on and how it turned out! 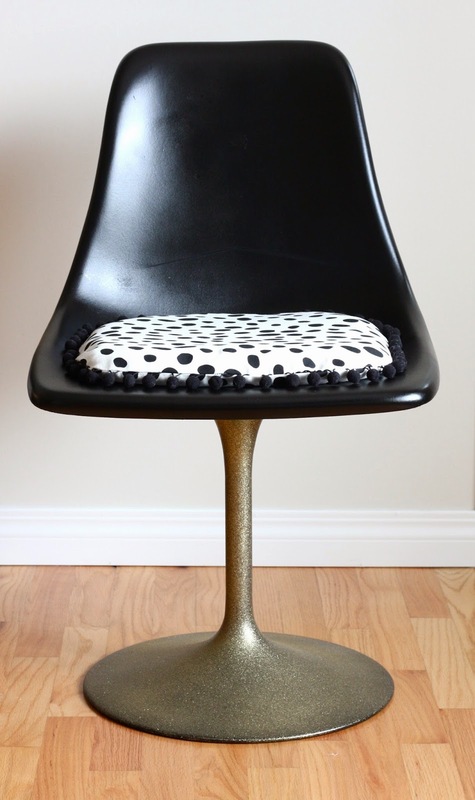 Using fabric from Tonic Living and some leftover pom-pom fringe my chair went from blah to WOWZA! My chair is ready for YOUR bids. Come to the Vancouver Home and Design Show this weekend from October 16-19 and make your bid. All proceeds go straight to Habitat for Humanity Vancouver. Habitat for Humanity is an organization that helps, along with various partners, in building housing, providing low cost mortgages that assists low income earners in putting a roof over their head when going the traditional route isn't affordable. The ReStores are run by Habitat for Humanity, where through donations from corporations, businesses and people, sell furniture, building materials, etc., keeping things out of our landfills and at the same time raising money to assist those who need a roof over their heads! So what are you waiting for? Head down to Vancouver all my local friends. Be inspired by what you see there and bid on a chair! Great job! I bet it will be a hot item! 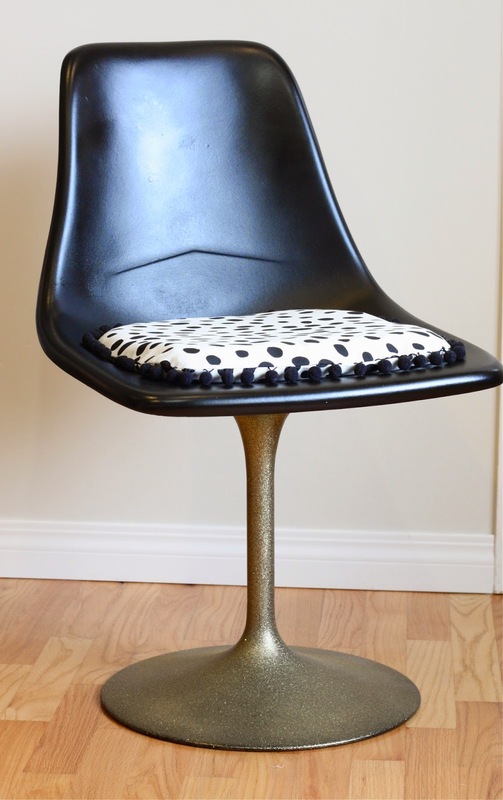 I love how you transformed the chair, Barbara - especially the glittered base! Very fun. Hope you are doing well - have a great weekend. Hope you got lots of bids Barbara! Very cool upcycle. Oh, I just love it!! 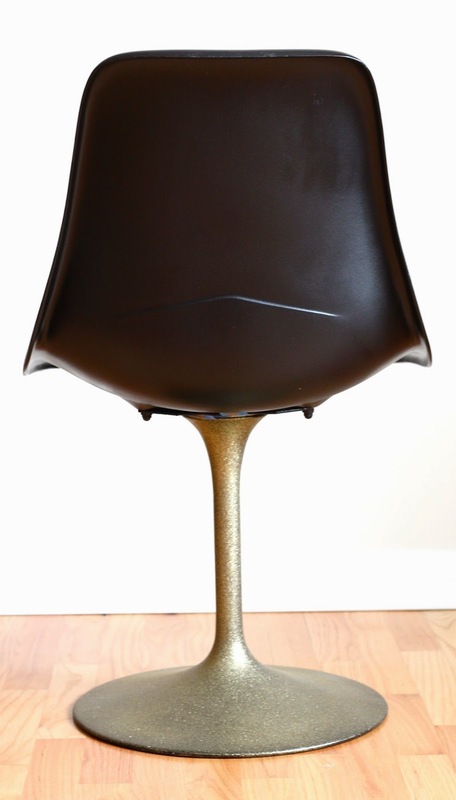 I'll be making over a tulip chair for my mom so I'll have to show her yours as inspiration! !